When you log into your ThriveCart account you’re going to be presented with your dashboard. Your dashboard has several areas that allow you to navigate your account and view what’s important to you. This is your main navigation area. You can quickly access your main dashboard (stats), Products (which include split-tests and coupons), transactions, subscriptions, affiliates, and the JV contracts area. Under your account drop-down on the far right, you have additional options such as your profile information and access to your settings area. At the very top of your account, you’ll be shown your account’s performance for the last 7-days. Hovering over each day will give you a more detailed breakdown with the ability to click through to more specifics about transactions over that day. Finally, we have your business metrics and what’s really important to you. These tiles are customizable and movable! When you first see this area, we’ll give you some default statistics, but clicking the customize button you’ll have access to wide range of tiles which you can use to customise your dashboard, so you can see exactly what you need to when reviewing your account. Changing the order of your tiles is as simple as drag & drop into their new position (note that layouts and tiles are saved to your device). If you want to remove a tile from the dashboard you can easily hover over it and click the X icon on the left. If you’re not sure how a specific statistic is calculated or what it means, you can also click the information icon on the right of the tile and it will flip to show you a description (clicking again will revert it back). 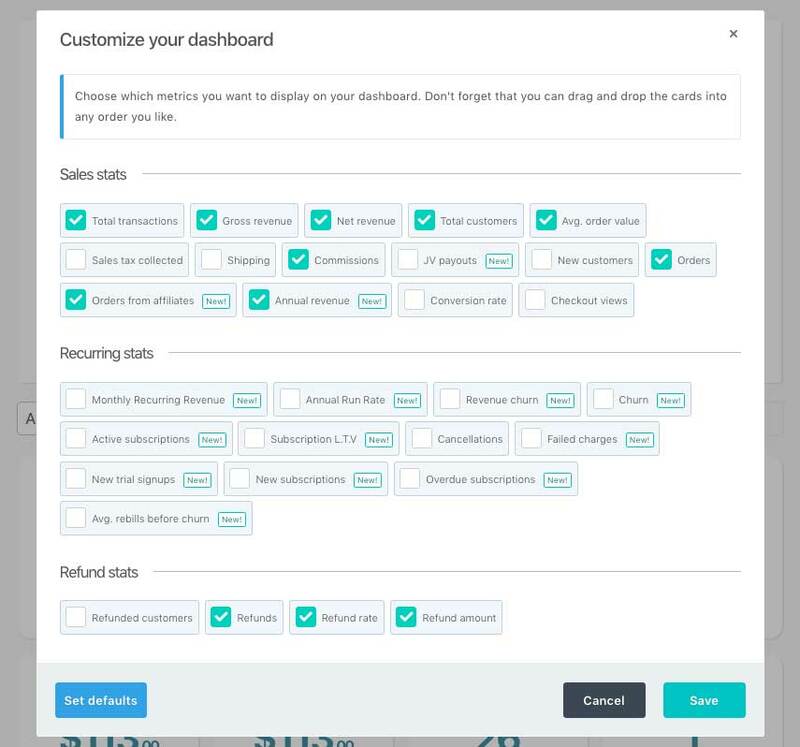 As you can see, your dashboard is where you go to see all the important metrics of your account, customisable to see exactly what you need.